Argonne National Laboratory researchers, including Alex Hoffman, experimented with spintronics powered by magnetism for a low-heat methodology. A new scientific field is toying with a new method of transferring data that could revolutionize tiny tech. How could this replace the small-scale circuitry we all know and love? In a bizarre twist on horseshoe theory, thinking small might change the world as much as thinking the other way around. The Internet of Things is slowly incorporating every object in our lives. This modern miracle requires the transfer of data, which requires circuitry and electricity, which causes heat. And we don’t like heat in our computers. Heat is bad since it limits what we can accomplish in a lot of ways, and can potentially damage systems and those who use them. Circuits may be tiny, but their reliance on electrical charges means that they will always produce some degree of heat. Luckily for us, scientists have theorized that we can increase energy efficiency by relying on a method that needs no charge, and the Argonne National Laboratory with the U.S. Department of Energy (DOE) is hard at work putting that idea to the test. The name they have for it is wonderful, by the way. 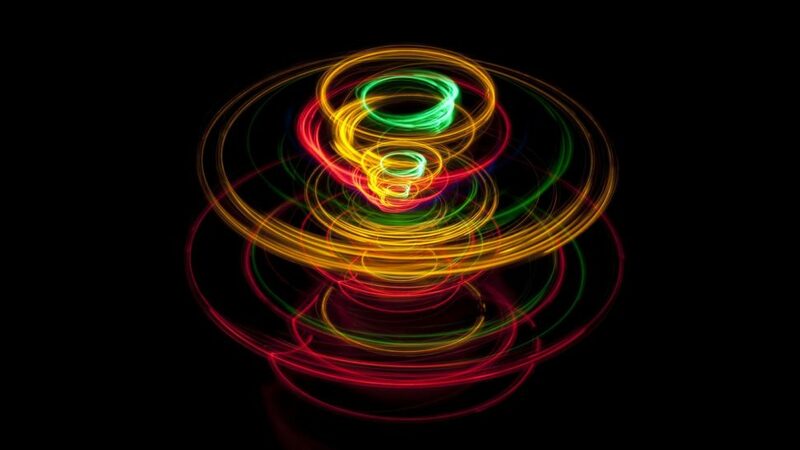 Spintronics, which sounds like an 80’s exercise routine, has nothing to do with fidget spinners. With spintronics, data is carried around using the magnetic properties of electrons, giving us a low-power way to process information. It even sounds kind of natural until you realize that the whole process still requires rare-earth materials like yttrium iron garnet (YIG), which has found use in radar and microwave technologies but might find new uses due to properties that make it a good magnetic insulator. So instead of powering the movement of the data, researchers want to push the data using magnetism, making a sort of miniature Hyperloop for data rather than traditional circuitry. Researchers used the YIG sample to measure small-scale spin dynamics. The measurements were gathered using electric beam lithography on a structure made from the YIG and platinum nanowires. When the researchers sent an electrical current through the platinum, the researchers could measure the spin dynamics of the excited YIG. The ability to measure spin dynamics is a first in the scientific community, according to Benjamin Jungfleisch, and Hoffman was even able to project that there aren’t any roadblocks preventing them from using a smaller sample of YIG in the future. And the smaller they can get it, the easier it will be to put tiny, sophisticated computers in anything we want. With the race to find alternative energy sources, many people around the world have found the need to make their energy usage stretch. Alternative energy sources are more environmentally friendly, renewable, and for all their glory, they pack less of a punch than many are used to. Part of improving the future of renewable energy is to improve the yield of the energy, but another part is improving how much of it we can conserve. If spintronics can make smaller devices use less power, then we may find ways to modernize just about anything without requiring a lot more power. In a world that needs to catch up to its own energy usage, moving forward without consuming more energy sounds like a good idea. But it’s not all in the name of effective progress. Let’s talk practicality. Ever hear of the Michigan Micro Mote? The Micro Mote is a computer that can fit on the edge of a nickel, and it can take pictures and read temperatures and pressure readings. It doesn’t sound like much, but consider that most of the size of the computer is the battery that powers it. If you didn’t need that battery, then the micro mote could get even smaller. It’s not just the micro mote that needs to get smaller, either. With this new method, someone may finally figure out how to make scalable contacts with digital displays, giving us the AR overlook that we dreamed of before the Google Glass dropped off the face of the earth. Less need for power should take care of the space issues on a lot of little tech, and with spintronics, we may be getting that and a little more safety to boot. As always, we’ll be keeping our eye on this one.